The Face Shield features a high-quality 3M Filtrete hydrophobic filter with CPR instructions printed on it, and gives providers the confidence to begin CPR. The small packaging fits into wallets, pockets and hand bags for readiness whenever an emergency should occur. 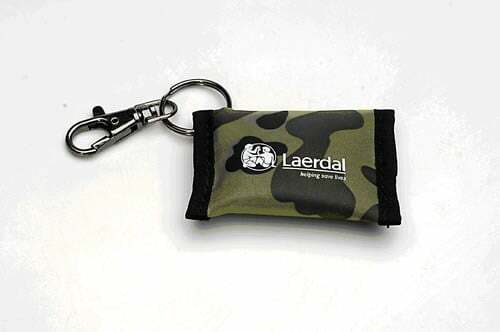 The Laerdal Face Shield comes packaged in a key chain pouch. 3M Filtrete hydrophobic filter helps reduce risk of blood or saliva contact between rescuer and patient. Oversized shield design allows for an unrestricted patient exhalation route without compromising seal quality or effective ventilation achievement.